Chrysler minivan owners are not surprised to learn just how in-demand these engines are by non-owners. The 3.3L engine is one of the last push rod styles. It was created by Chrysler in 1990 and was quickly put into the minivans that were produced. The Dodge Dynasty also received one of the first installments of this engine. The initial horsepower was 150 upon its introduction and was later rated at 175. This is plenty of power for a minivan or other project car. 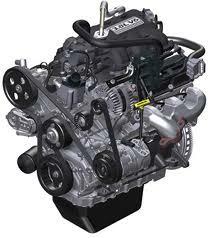 Buy Chrysler minivan crate engines from our website and save money. We treat you right and want you to get the best. A crate engine is a great way to get a new engine. You don’t have to go to a dealership and pay two to three times as much. We are a discount engine seller. This means that our prices are discounted way lower than the actual MSRP put out by manufacturers. We are able to secure pricing this low because of our buying power. We buy crate engines in extremely large shipments. We’re talking 30 or 40 at a time. We put a lot of time and attention into the minivan engines we purchase. We do this so that customers searching for a 3.3L get what they want. One thing that you always get from our company is warranty protection. Engines can be a funny thing. You can buy a new one or a used one. You never know if either one of them will come with hidden issues. We sell new crate engines. All parts used to build the engines are not manufactured by our company. We are at the mercy of parts dealers that supply parts for the build. We know that any part can go bad so we warranty them. We include this OEM warranty for parts along with every crate engine that is purchased. This is like getting a double guarantee that what you are buying will last for a long time. Along with our minivan engine pricing and guarantee, you get the best of the best when it comes to engine shipments. We use a safe and talented team. Our team is well trained and transports engines inside of our warehouse with ease. These professionals know how to watch out for common damages and surprises that can happen in a warehouse. Every minivan crate engine that is sold here is done so expertly. We encourage communication between all of our engine departments. This is what helps us stay away from communication errors that lead to the wrong engines being shipped. We never make those kind of mistakes here. You want a 3.3L Chrysler engine and we definitely have one to sell you. You only need to call us at (336) 355-5679 to get our price. It’s fast and our engine staff are very courteous to you and your engine needs. We encourage you to ask questions and find out about who we are as a company. If you’re into online quotes, you can get those too right from our website. Just put in your 3.3L V6 engine details and you’re presented with the price you will pay. It’s simple.